I am on the road right now and believe it or not, I do actually carry my own coffee maker. True story. Hotel coffee isn't known for being good coffee. Although you CAN get lucky and stay in a hotel with a good brew, most taste like cigarette ashes. I travel with an individual cup Keurig (I bought this one from Best Buy but they offer it on Amazon too - Keurig MINI Plus Brewing System ). It's the small brewer that often is called the desktop version because it's mini in size and only holds enough water to brew 1 cup of coffee. You add the water and your coffee, brew it, and it's ready to go for the next one, or in my case, it's easy to pack in my suitcase without worrying about the size, weight or how to get the excess water out. This morning my brew of choice is Cura Coffee in k-cup form. They offer ground as well (click on the image for all their product choices). I can choose Cura Coffee because it's a good tasting brew, but it's also a 'coffee for a cause' and they like to use the phrase; "beyond the cup" because a portion of all sales goes to help bring free dental care to those who need it in Nicaragua. Click on the image for information about how you can help fund their cause - and with a click through the link above, any sales will also benefit the college fund of my daughter as well. Whether your work desk is a cubicle, an office or a home office, you probably have something to personalize your desk. No, I mean more personal than that personalized coffee mug. Many people that work long hours at the desk also like to have little toys or gadgets to play with while they are on the phone or as a little conversation starter. What about a little mini you? Until about 30 minutes ago, I didn't even know these existed! I was bopping around Amazon and saw a banner for these little dudes. Tiny little personalized figurines printed from sandstone (like an unglazed ceramic) in a 3D printer. These personalized 3D printed figurines are made with 3D printed full color sandstone, a matte material that feels like unglazed ceramics. 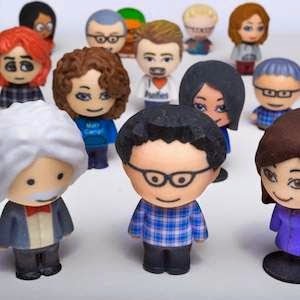 Make cute cartoon figurines of yourself, friends, family, and coworkers. It's a personal and unique product to celebrate all your relationships and special occasions. After clicking the "Personalize Now" button to start, you can select from a variety of hairstyles, facial features, and outfits to create a mini-me. Do not wash--exposure to water will fade the colors. If the product becomes dirty, brush off the dust with a toothbrush. Here is an example of a regular Joe kind of guy... and his little mini me figurine! Like a little movement in your mini me? 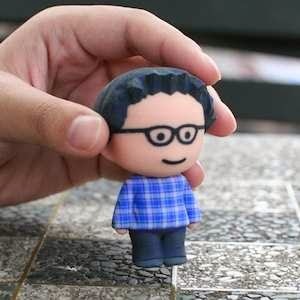 You can 'Create Your Own' 3D Printed Bobble Head With Mixee Bobbler as well. 3D Printers make a variety of objects using a laser that move along an X, Y and Z axis to build an object in three dimensions. 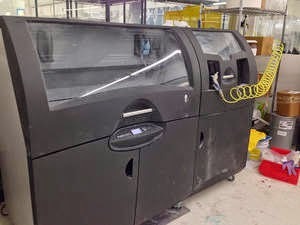 3D printing is considered the future of print and manufacturing, and is set to dramatically change the way we buy and produce products in the future. Browse our selection of 3D printed jewelry, home decor, tech accessories, toys & games, and more. No matter the occasion or budget, there is something for everyone in our gallery of 3D printed products. Whatever your goal--outfitting an occasion or adding to your obsession of collectibles --Amazon has you covered. Shop the future today! 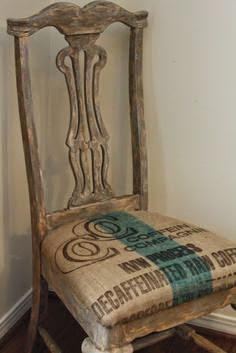 My love of vintage looking burlap coffee bags goes back... almost forever. I am not even sure where I managed to get my hands on them, but years ago, I managed to procure a few of these and made them into throw pillows for our Living Room couch. Time went by, our little toddlers weren't conducive to them and they were a little scratchy for tiny little toddler heads that wanted to lay on them so they soon found a new home. Lately, they've been on my mind again! Because visuals are always nice, I did a quick internet search for images that were labeled free for reuse, and here are three that popped up right away that give you an idea what I was thinking of in my list. They are very affordable as many coffee shops resell dirt cheap and some (if you ask nicely) may even give them to you for free. If you can't find any locally, I did a quick search of Amazon and found packs of 10 bags for under $20 and sometimes even under $10. That's about a buck a bag. 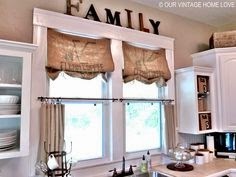 LOVE the look of decorating with burlap and my current living room (and lack of toddlers) would do well with a few awesome throw pillows. Updated 2017: I don't believe this product is made any longer but you can use a blender and adapt recipes to whatever machine you are using. I also updated 2 links at the bottom of the post to similar items currently available through Amazon instead of the Frappe Maker. I love finding new recipe ideas but I can go through printer ink like there is no tomorrow printing all the recipes off, so sometimes I scribble them down by hand. Other times I copy them to a word document to 'print later when I have plenty of ink to spare' (which is never) and still other times I bookmark the site in my browser under a file "recipes" so I can go back to it. 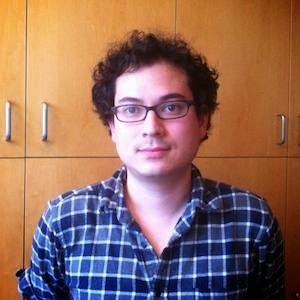 And do you know what happens about half the time? I go back to the recipe and it's GONE. The website has moved or deleted the page so I get a 404 page not found. There went a recipe I wanted. I have to be honest, I didn't recall saving this one, but I saw it in my files, saved from the Coffee-Mate site. BUT the reason I had an interest in this one was that I was going to tweak it to a COFFEE DRINK. By using these basic ingredient ideas but tweaking it with 1/2 cup strong brewed coffee or espresso in my Mr. Coffee Frappe Maker, I was going to have a yummy Caramel and Coconut Coffee Milk Shake. And just in case they take the recipe off their site, I didn't want it to get 'lost'. And if they don't have the coffee creamer, no worries. Torani Syrups work wonders and make amazing drinks, and as of today's posting I did find the powdered Girl Scout Coffee-Mate online at Amazon (see the bottom of this post for the link). Place ice cream, milk and Coffee-mate in blender; cover. Blend until smooth. Swirl caramel syrup around inside of 2 glasses. Divide milk shake between glasses. Garnish milk shakes with coconut and chocolate. 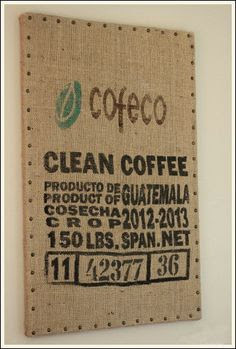 *I will be adding 1/2 cup strong, black coffee or espresso to make this a yummy coffee version!!! UPDATE: I don't believe this product is being made any longer so I found a couple similar items currently available on Amazon and have linked them at the bottom of the post. You can also make this drink with a good quality, powerful blender and some brewed espresso. Adapt! It's late afternoon, I need a pick-me-up but I am not in the mood for hot coffee. It's 90 degrees out and an iced coffee sounds great, a caramel macchiato version even better. Much easier than running to the local coffee shop and having to spend 5 bucks on a drink. And... I get to make it my way, with my ingredients. Sugar free syrups, flavored coffees. Mixtures of ingredients I want to put together without being charged an extra $.50 per addition. Whipped cream, skim milk, coconut milk, sugar free vanilla syrup, caramel.. I chose! This is one of those small appliances that so many people don't even know exist unless someone tells them. It's the Mr. Coffee 20-Ounce Frappe Maker and it's an appliance I am still using about 2 or 3 times a week after about a year. I use it for iced coffee drinks of all kinds, but I also find myself using it to crush ice for homemade icee's as well as making frozen margaritas and more. It's a coffee maker and a blender all in one. Tip: To crush candy, unwrap and place in heavy-duty re-sealable storage bag; pound lightly with meat mallet or rolling pin to form small pieces. And if you need a little more help - check out all the recipes on the Mr. Coffee site - recipes.